It looks like they took it down. I cant find it now. I think the guy who posted the video of the Altima at Sheridan Nissan got in trouble because I see everything is removed now. He said it was an Sr and he got to spend a week with it the color of it was blue and it looked great. I don't know if it was from the angle but the interior Dash look Brown. The outside had the same Wheels as the Platinum the 19-inch wheel design. I'm not sure what the base model Wheels look like or the SV and SL trims. I'm also trying to figure out what does the Platinum have that the SL does not have? Check this image of what appears to be a base-model S with hubcaps (albeit modern-looking and angular) and no LEDs or foglights. It appears this site slipped a base model image in with images of loaded Platinum models for the other colors. Last edited by JayG35; 06-09-2018 at 02:24 AM. I hope that the base model is non-existent on actual lots. That's always been the case. And I hope the S comes with alloys now. But I am still upset with Nissan for not giving this thing LED taillights. SMH. An oversight on a good looking car. I also wish the SR had it's own unique, sportier wheels. The picture of the orange one I mentioned seems to be a VC-turbo, so hopefully it won't be limited to a mid-range model. EDIT: I may be the odd man out on this one... but honestly that base model has a weird charm to it. Lol. I guess it shows that even in its purest, most stripped down state, the design is still solid. Last edited by NissLover; 06-11-2018 at 09:59 PM. First rolling B-roll footage of the new Altima. Though this is mostly the same front 3/4 shot over and over and barely shows the rear-end... This car looks GOOD on the road! Honestly when it debuted I felt it was too evolutionary compared to the refreshed current gen. Looking at this footage though completely changes my mind about it. That front end is pretty mean looking and overall the car seems VERY lean, sharp and taught! I also feel that the true test of a cars presence is how the styling stands up to being washed out in bright sunlight like in the video... Its' passes the test for me. I can't wait to see it in person. 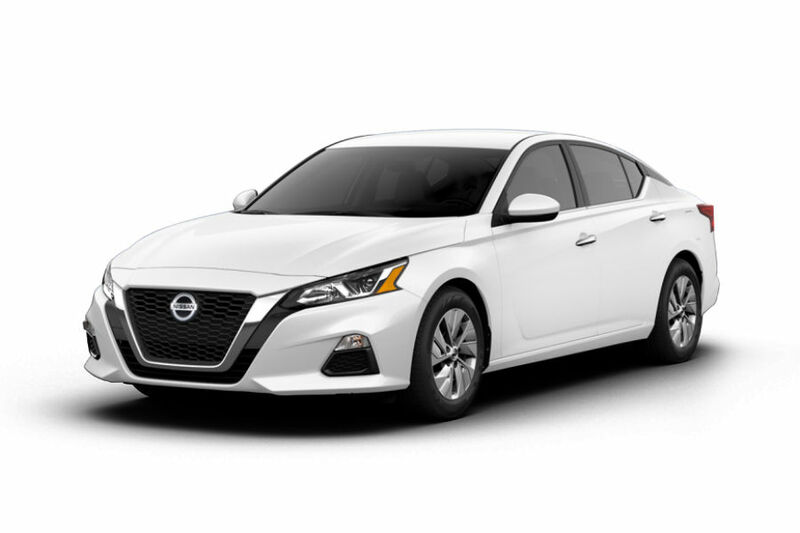 I believe the Altima went into production two days ago. So it's only a matter of time before they come out with the pricing. Cute little dealer clip of a demo model that just came in. Loaded VC Turbo Platinum, naturally. It also is boosted by my favorite color. This car looks REALLY good from a styling standpoint, in and out. I'd go as far as to say that it's the first generation to actually look significantly better than the 3rd gen. The prior 5th gen was about as attractive as the 02-06 to me, but this one is a grand slam looks-wise. Everything looks streamlined, aggressive and no-nonsense. I can only hope that future Maximas nail their styling this well. Too bad there won't be a future Z or.. anything RWD that isn't a truck. WOW! That top down view of the front end at the very beginning is REALLY aggressive! But yeah, every time I see it I just think "taut". It really gives me an Audi A4 vibe. They really knocked it out of the park! I honestly don't think you can go wrong with the Altima, Accord or Camry, looks wise. Which is crazy! My only bone to pick with the car is the omission of LED tail lights. Just don't get it, especially the fact that the Rogue and Sentra come with them standard. And in the case of the Rogue standard LED DRLs as well. Who knows. The Corolla comes standard with LED headlights yet they're optional on the Camry. I wonder what drives decisions like this. I like Hondas approach lately, LEDs standard across the board. I agree on all points, and it does look especially menacing and well-done from that top-down angle of the front. Another video, this one longer and with a sales guy giving you some info, but not too annoying. The HD closeups of the interior from angles not really depicted in prior media are nice. The materials look premium and well-integrated. A hallmark of Altimas, even going all the way back to my third-gens, is the excellent driving position, visibility, and seat comfort. This new model appears to continue the tradition, while strengthening these advantages. I've rented the new Camry and it is a GREAT car, as-advertised and reviewed. 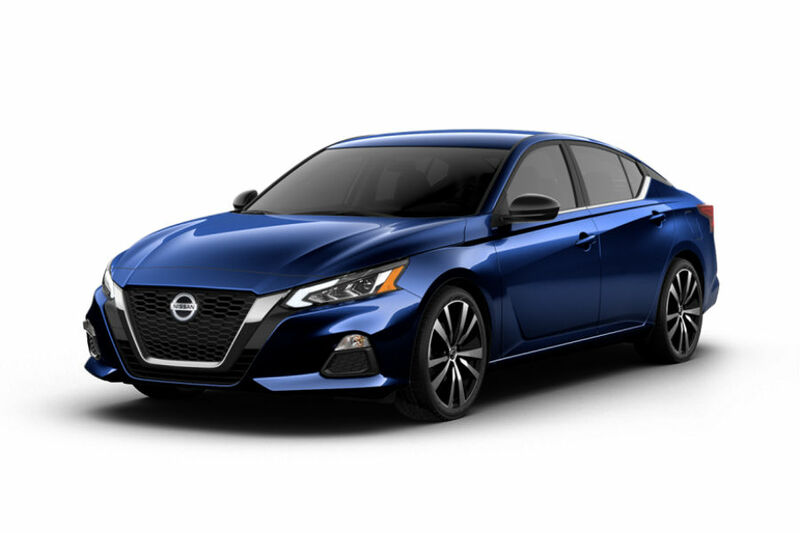 However, the seat comfort, while good, is not as pleasant as in my old Altimas, let alone the 5th gen and now this new one which have the Zero-gravity front seats. Also the lower trims of Camry suffer from extensive hard plastic on the door panels, where Altima traditionally has not given you a huge material quality penalty for opting sub-SL/Platinum trims. I'm hoping that this high point continues with the new one. 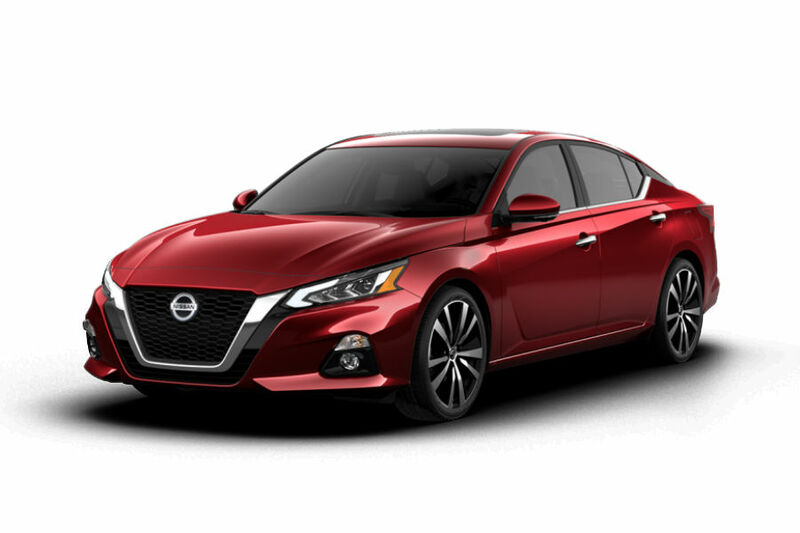 It's a bit odd to hear an Altima accelerate in such smooth silence. A pleasant surprise, really. The QR as we know has taken its hits for being coarse and unrefined. The VQ is much better, but has fallen behind newer V6 designs. The VC turbo has been said to possess an odd smoothness and lack of NVH by many reviewers, supposedly due to the Multilink's dampening effect. Car and Driver even said that the new 2.5 engine is even smoother. Amazing how they ironed out this weakness of unrefined 4-cylinders that have plagued them since ancient times. As can be read here, these motors do, in fact, have internal names, or designations. The VC-turbo is the KR20DDET and the new QR-replacing 2.5 is the PR25DD. It does look nice. In addition to the lack of LED tails, though, I don't care for the sharp-pointed "ears" on the outside upper corners of those tail lights, nor for the wheels on that one. Relatively small gripes, though. The real gripe, and the part that continues to pain my soul, is the CVT. You just have to wonder what a huge difference it would make to this car if it had a nice 8-speed auto trans. As long as it has a CVT it isn't even on my radar. Plenty of people who don't know a CVT from a kumquat will buy this car, though, and that's what counts. What I've learned about these machined/black finish wheels(which seem to be all the rage today) is that the always look better in person. There's a depth that cameras can't capture. Hoping that's the same here. Here are all the new Nissannews pics (click this link for higher res versions available for download only). Nissannews has gotten much less user-friendly for press pic browsing in recent years, I assume to copy-protect their photos. The super-high-res versions available to download (but too large to post here) are well worth it. The interior materials look PHENOMENAL. In particular the SR dash which has a full leatherette upper half with red stitching is a detail that pleasantly surprised me-- it's not featured in the Platinum show car from last spring. I really hope that this is the real deal and not another hard-plastic-fest in person. In some ways the fit and finish looks even better than the Maxima, but no one has actually knocked or dash stroked yet so I won't get too excited. The exterior looks the business, especially this silver SR. I want to say that it has a lot of 90s Maxima-ness. It's so taut, wide, sporty-looking and most of the graphics are not overdone as is the rage with Asian cars today. The rear and tail light design in particular has me swooning. It's like the good old days back when Japanese cars mimiced the Germans in the booty: attractive, just-right, no cartoonish zaniness. And are those amber turn signals lenses I see? Woah. 90s-retro confirmed! As Mike said, the CVT is the only bummer. I'd be willing to overlook it if they could just make the damn thing reliable and not too rubber-bandy. 90s Maximas had very mediocre, though durable, 4-speed automatics. The rest of the car was great enough that this was forgiven. That's what I'm hoping happens with this model. While we're pining for an 8-speed automatic or similar, should Nissan come back to their senses, we should hope that they do their homework with that and not just half-youknowhat it. As I mentioned once before I've driven the 2018 Camry and while it's undoubtedly a great car-- the chassis, suspension and steering are probably the best I've ever tested in this segment-- the 8-speed automatic is not well-programmed at all. It's hardly any more satisfying to drive than a recent Nissan CVT, and not much less fustrating. It's ALWAYS in the highest gear and you basically have to go 1/2 throttle to get it to even consider downshifting. In Sport Mode using the paddles to manually shift it, the computer will ignore your requests half the time and up- or downshift when it feels is the best time for you. It also is geared like a 6-speed with 2 overdrives and isn't very quick-shifting. You can tell Toyota mailed it in when the Accord 2.0t's 10-speed behaves much better, and the BMW 8-speed and Mercedes 9-speed are on another planet entirely. Last edited by JayG35; 09-11-2018 at 12:36 AM. Nic find! thanks for the pics! Soon I'll have to stop by a local dealer to pick up a new fob for my 05 3.5 SL. I'm going to wait til the 2019s come in so I can mess around with them before picking up my order. Did you check online for a fob? There are places that sell lightly used ones for a lot less than dealer cost. We got one a few years ago for the wife's car, and it worked perfectly. I will do so. Thanks. Assuming the used one can be programmed without using the dealer (who will no doubt charge full cost of a new one to do so ) it should save me $100+. Yes, the one we got came with programming instructions. Just a combination of control inputs.